I recently visited Field Marshal the Lord Guthrie, a Welsh Guardsman and The Colonel of The Life Guards; and also the first non-Royal Guards Field Marshal appointed since Sir Harold Alexander in 1944 and Lord Gort in 1943. Three Guards Field Marshals, and all educated at Harrow School. This was not a formal interview, more a delightful conversation which touched on some aspects of Charles Guthrie’s career in the Army, but only scratching the surface of a much more interesting story. Charles Guthrie was not always bound for the Army. As a teenager at Harrow School, he had an interest in the Royal Navy, and as an enthusiastic reader of CS Forester’s Hornblower books, he thought that a career at sea would be fun. His housemaster arranged for him to spend a day in Portsmouth, on a frigate. The ship never left harbour, and the captain spent much of the time explaining to the teenager how the engines worked. Not particularly technically minded, this 17-year-old was soon rather bored by the intricacies of naval engineering. Things began to look up when the captain said, ‘I shall now show you how I command in war’. They descended below the water-line, which for Charles was ‘a pretty odd place to start unless you were in a submarine’. In the control room, he was ‘surrounded by screens and clocks, when somebody said, “incoming missile” and so I pressed the button as instructed. Well, quite honestly, that was not a very exciting thing to do, and it had little to do with Hornblower and the dashing spirit of Nelson’s Navy’. Back at Harrow, Charles’ housemaster, slightly despairing and not particularly enthused by the idea of the Services at all, now suggested that he might try the Army. Charles had an uncle and a cousin in the Welsh Guards, he was also a keen rugby player, so a visit was arranged. At the end of a short interview in London, the Regimental Lieutenant Colonel said ‘You don’t really want to talk to me. There are two officers next door who would like to take you out to lunch’. They went to the old Guards’ Club in Charles Street ‘where we had a pretty grown-up lunch’. Rather the worse for wear as the train rattled along the Metropolitan Line towards Harrow-on-the-Hill Station, he felt a little better by the time he’d walked up the hill to the school. From there on the Welsh Guards took a close interest in him. In 1957 he went to Sandhurst on the two-year course, which he ‘quite enjoyed’ although from the outset he was impatient to get on to the next challenge, with his regiment. In those days, Sandhurst cadets were not allowed cars at all, although Charles did manage to keep one, a Ford Anglia, hidden in the woods. Getting back at night could prove tricky, particularly when the Royal Military Police dogs and their handlers were on patrol. Charles had a first-floor room in New College, and when he was feeling brave, he would shin up the wall, using the foot holes in the ‘fancy brick-work’. He also took the precaution of not always parking his car in the same place in the woods. The High Street in Camberley was one place, and he also made friends with Jock, a local garage owner in Sandhurst Village, who would allow him to park his car among those for sale. 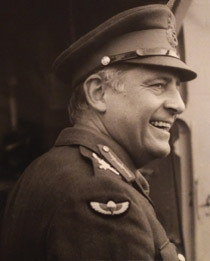 He became a junior under officer at Sandhurst and was commissioned in 1959. He made many friends on his course; they are soon to have their 60th anniversary reunion, at Sandhurst. The Welsh Guards were at Pirbright at the time, having just returned from Egypt, a posting that Charles was disappointed to have missed. In the early 1960s, during the Cold War, ‘the Army was nothing like as busy as it is now’ and there were plenty of opportunities away from soldiering. 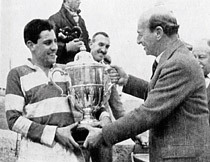 Charles ran the Welsh Guards rugby team and played for the Army, spending long periods as a ‘rugby player not a soldier’, leading rugby tours, particularly in Wales, where such events were good for recruiting. But none of this lasted too long; there were courses, he commanded his platoon, and he was soon the Adjutant of the Battalion, first in England and then Aden. 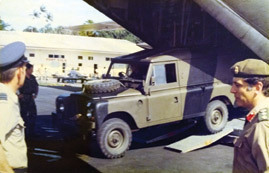 Operations in Aden were exciting. 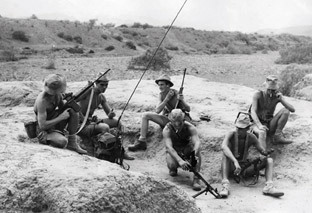 The Welsh Guards patrolled in Aden City as well as up-country in the Radfan, dealing with dissident tribes. 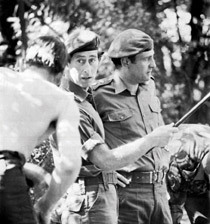 They had plenty of contacts with the various guerrilla groups, and Charles certainly ‘learnt a lot about soldiering …rugby football was very much on the back burner’. It was also a place where he first encountered the Special Air Service (SAS). He was interested in the kind of work the SAS was engaged in, operating in small patrols, deep in the Radfan and the Yemen. He had joined the Army for ‘travel, excitement, and variety’; this seemed like something he should have a go at, and with his time as Adjutant ending, he applied to join. He remembers selection being a physically demanding experience, with the additional challenge for the officers of preparing and delivering orders when they were very tired. He was to spend three rewarding years as a troop commander with the SAS, followed by two years commanding ‘G’ Squadron, a sub-unit that recruited from the Household Division. His association with the SAS continued later in his career, when he served as Colonel Commandant for ten years. Following a year at the Staff College Camberley, Charles Guthrie was posted to the Ministry of Defence as Military Assistant to the Chief of the General Staff. Had it occurred to him at the time that this was a possible stepping-stone to the top, since quite a few MAs went on to be CGS? ‘For the first years in the Army I had no feelings at all about getting to the top. I was just having a good time. When I was Adjutant, I began to look around and think that perhaps I was as good as others more senior around me… but I never I thought I might one day be CGS or indeed CDS’. Charles Guthrie took command of the 1st Battalion Welsh Guards in Caterham in 1977, later moving to Berlin, and then to Northern Ireland in the late autumn of 1979. He had served in Northern Ireland during the earlier years of the Troubles, when the threat was mostly from rioters, but by 1979 the situation had deteriorated significantly, with shootings, improvised explosive devises, and booby traps being the terrorists’ modus operandi. The Battalion Headquarters was based at Bessbrook Mill, close to the border, and during the tour nine solders under command were killed, including a Welsh Guardsman. Promoted to colonel at the end of his time in command, Charles wanted to return to the Ministry of Defence, mainly to give his family some stability. Although ‘I always went where I was told to go, it is always good to say what you want to do, remind people what you want to do, and with a bit of luck you will get it’. He knew where the interesting jobs were in the Ministry of Defence, and Colonel MO2 was one of them, the Army staff branch that dealt with Operations ‘Rest of the World’, i.e. those away from the UK, Northern Ireland, and Germany. About a month after arriving in Whitehall, in June 1980, Charles found himself on his way to the islands of the New Hebrides, an Anglo-French condominium, now the Republic of Vanuatu, an extraordinary place, jointly administered by the British and the French, in true British and Gallic style. In 1980, few people in the Ministry of Defence, including Charles, had any clue where this place was until one of the local tribes, led by a ‘desperate fellow’ called Jimmy Stevens, emerged from the jungle on a violent spree with the aim of taking over the island and declaring independence. Charles remembers asking his wife Kate to find some suitable clothes for him before he departed. ‘I can’t think where your Barbour is’ came the reply; with the average temperature at around 25oC, this was certainly one item of clothing he would not need! The story that unfolds would make a good plot for a Graham Greene novel, or as Charles describes it, a Gilbert & Sullivan comic opera. Vanuatu is in the Pacific and a very long way from anywhere, some 1200 miles east of Australia, and 10,000 miles from London. Charles had been sent there to conduct a reconnaissance, but very soon found himself with the ‘fantastically grand title’ of Commander British Forces New Hebrides, alongside a French military commander. With a very small headquarters, a Royal Marine Commando and a few staff officers under command, he began to make plans with his French colleague for dealing with the uprising. He also had a Royal Air Force officer on his staff to assess the suitability of the airfield and the runway. ‘I knew that our aeroplanes could probably land here but did not know whether they could take-off again’! And with no military helicopters available, he borrowed a light aircraft to do a quick recce of the island, some 70 x 35 miles in size with an extremely rugged and impenetrable hinterland of mountains and jungle. Charles was the ‘man on the spot’, rather like his school-boy hero, Horatio Hornblower taking on the wild tribesmen in some far-flung corner of the Empire in an era when ‘they took risks, they were a long way from London, they didn’t have to ask anyone, and they just had to get on with it’. In Vanuatu, in the summer of 1980, he felt a kind of freedom rarely experienced these days, something he says, ‘the Army is now in danger of losing entirely’. 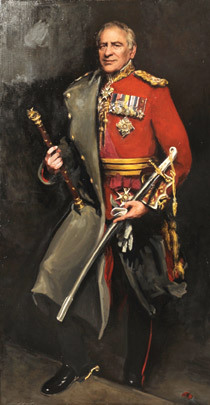 Back then, communications with London was by written signal, and although he was well supported, he also felt that no one at home could quite ‘envisage such an extraordinary Gilbert and Sullivan’ scenario. ‘French and British arguing in Paris and London. Almost naked tribesmen, a French prison and a British prison, people opting to be tried by British judges and then opting to go to the French prison because they could have wine on Saturdays’. All rather surreal, and no wonder that the place had been described some years earlier in a newspaper as not so much a ‘Condominium’ as a ‘Pandemonium’. Hansard records a debate in the House of Commons in early June, around the time of Charles Guthrie’s departure to Vanuatu, that somehow sums up both the serious and the comic aspects of the adventure upon which he was embarking. The Speaker, George Thomas, acknowledging a request for an adjournment to discuss ‘the reneging by the Government on their absolute pledge to take all necessary measures to preserve law and order in the New Hebrides….’ was then invited by Dennis Skinner to ‘Now read it in French’, to which he responded ‘The Honourable Member should not tempt me. I might go into Welsh, though that would not be very successful’. Perhaps Mr Speaker knew that a Welsh Guardsman was, at that very moment, preparing his plans to resolve the crisis in the Pacific? The military deployment proved highly successful, and despite frictions between the British and French back home, the two military contingents, and their commanders, developed a close and effective partnership. 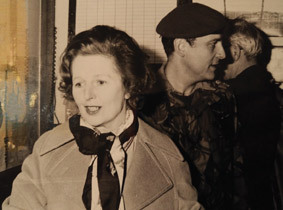 On 24th July 1980, a British and French force, led jointly by Colonel Charles Guthrie and his French colleague, carried out an operation to restore the authority of the legitimate government, thus ending the eight-week rebellion. There were no casualties, and no shots fired, and the tribesmen, virtually naked with their arrows, spears, and wooden clubs, were completely out-classed, and as Charles Guthrie recounts, were very soon on their way back into the jungle ‘never to be seen again … they just disappeared … so I declared victory’. It had all been an extraordinary experience, with Charles concluding, as he recalled those events ‘that the further away from their country people go, the odder they become’, thus emphasising all their national foibles. ‘The French’ he said, ‘were very French … you went to have dinner with the commissioner, and behind every chair was a local standing in a footman’s outfit with white gloves, one for each of the guests’, while the equivalent British evening was a ‘family supper of shepherd’s pie’ or similar. The opportunity for a British commander to deliver and then declare ‘victory’ that, within days, was followed by a peaceful transition to independence, must be a unique achievement in the annals of our long colonial history. The Labour Opposition back home had made much of the Government’s initial reluctance to get involved, but they certainly could not have criticised the way in which the crisis was resolved. We talked only briefly about Germany, where Charles Guthrie had commanded at every level, was the Corps Commander when the British Army was preparing and taking part in the 1st Gulf War, and then the last Commander-in-Chief in the mid-90s, at a time when he saw one of his roles as ‘weaning people off what had gone on in the past, encouraging them to develop other skills’, a task that some parts of the Army found easier than others. Our discussion concluded with Charles Guthrie reflecting on how the Army had changed since he was commissioned in 1959. ‘When you think of what the Army has done over the last few years, when compared with its size, it is pretty remarkable; I have tremendous admiration. I was lucky serving when I did. There was the withdrawal of Empire going on. Aden, Malaya, and Kenya. It was all quite exciting’. And of course, he looks back on his time with the Welsh Guards and more recently as Colonel of The Life Guards with immense pleasure and pride. The Household Division is a remarkable organisation, because the ‘backbone is all there’ to absorb and make the best of a wide and diverse pool of talent. ‘The Household Division expects people to have high standards and to say that second best is not good enough. And although that grounding may start at a very low level, it remains with you. Also, the relationship between different ranks is right. Everyone should know who their boss is, and their boss should know everyone they are looking after’. Other people in other regiments can reach these standards ‘but not many do’. There are some parts of the Army where regimental service is not necessarily seen as the best way to get to the top; and as for the Army policy of out-sourcing the task of recruiting to a commercial company: ‘No wonder we are short of soldiers’. ‘I think I am probably the last senior officer to have had a spear thrown at him in anger. I would be surprised if anyone has had that happen to them recently. It all goes back to why I wanted to join the Army’.